During a Facebook Live Q&A on Friday, former President George W. Bush's daughters shared a story that could have altered the course of the U.S. and the rest of the world. While promoting their new book, "Sisters First: Stories From Our Wild and Wonderful Life," Jenna and Barbara Bush were asked if there were any moments when they wished their dad wasn't president. Jenna responded, "When we were 18 and our dad sat us down to tell us he was running for president...we both tried to veto that idea." Explaining her statement, she said, "I think like normal 18 year olds, we really wanted to enjoy college...and grow and make mistakes, which we did...but I think pretty fast, pretty soon into his tenure, we realized how awesome it is to live history and how lucky we really were and are." Barbara also emphasized the positive aspects of that time, adding, "Through him we got to travel around the world with our mom and our dad, so we got incredible exposure and got to meet unbelievable people, and that of course, outweighed any reservations that we had." 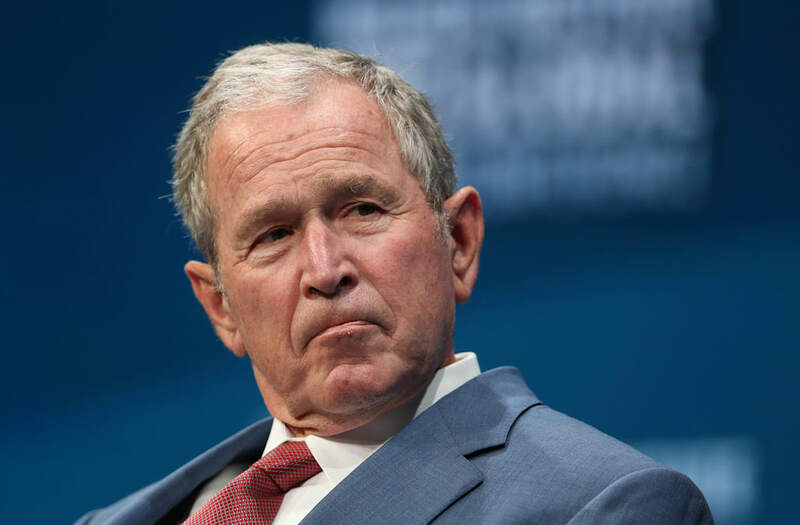 The Washington Post recently noted that George W. Bush's favorability ratings have gone up significantly since his presidency ended. As the Post reports, "presidents historically have almost always seen their image improve after leaving office. Not being in the news or engaged in the heated political debates of the day makes people more nostalgic for you. They remember the good times and forget — or at least forgive you for — some of the bad."